Nepal became a federal state in 2017, with 753 newly created municipalities, and 7 provincial (state) governments. Whilst the structures have been created, and representatives elected, it will take time for them to function in a fully effective manner. 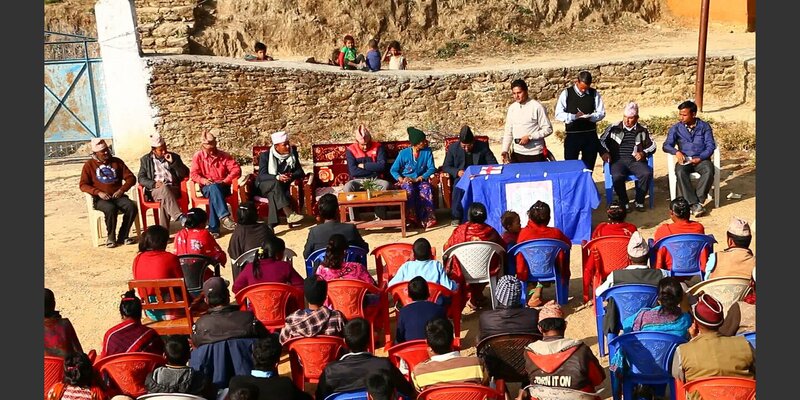 In consultation with the Government of Nepal, Helvetas is working with citizens and municipalities to support democratic local decision-making. 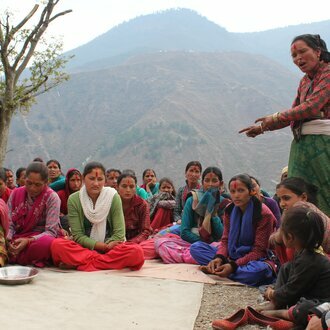 Nepal’s long civil conflict (1996 - 2006) was driven in part by a demand for greater local autonomy – a demand addressed in the country’s new Constitution (2015). The new sub-national government structures of states and municipalities are now in place, as is a broad legal framework outlining their roles and responsibilities. In supporting democratic local governance, Helvetas addresses both demand and supply. On the demand side, we work with citizens as rights holders, focusing particularly on women and other socially disadvantaged groups. We inform them about their rights, and build their confidence to claim the government services to which they are entitled. On the supply side, we work with municipalities, building their capacities to respond to the demands of citizens in a transparent and accountable manner. Helvetas works to raise awareness about specific rights, such as the Right To Information (RTI) Act – a law that allows citizens to question decision-making by local government. Thus, for example, a citizen can request to know who is entitled to different government social security payments. Through this, they may realise that they are entitled to a benefit that they have not claimed. Helvetas has particularly trained young people as Right-To-Information Activists who can spread information within their communities. Helvetas staff are also training to citizens and their newly elected representatives on key aspects of the new Constitution, and on the provisions of the Local Governance Operations Act 2017, which sets out the broad responsibilities of municipalities. Under a new project, Helvetas will be working closely with the elected representatives and executive staff of eight municipalities in state 6. We will support them in developing their plans, budgets, procedures and guidelines for the inclusive, transparent and accountable delivery of municipal services. 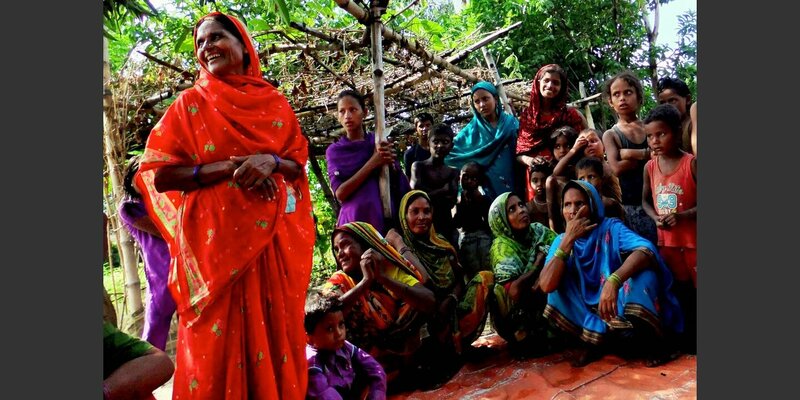 Governance activities are currently implemented through funds raised from donations; a small project in collaboration with Fastenopfer; and a recently initiated Sajag Project implemented behalf of the European Union.